We are located in the BVI and can arrange for you the perfect charter experience on a crewed all-inclusive luxury yacht in the Virgin islands or anywhere else in the Caribbean. Our professional and knowledgeable specialist will help you find the perfect crewed charter yacht for your next vacation. WHICH CHARTER YACHT IS RIGHT FOR YOU? 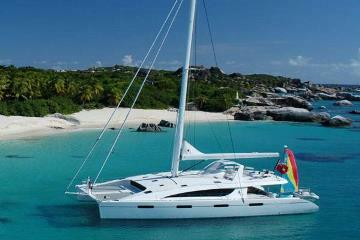 Sailing catamarans are the most popular choice. They are fun for sailing with a stable and flat platform for more comfort. They are ideal for those new to sailing/chartering, families with children and couples groups. The double hulls give an spacious amount of living space, they often have equal cabins with ensuite bathrooms and it is easy to walk around while sailing. Monohull sailing yachts offer a better sailing experience, which is perfect for the traditional sailor. The yacht will heel while sailing which gives more thrill and is more exiting when you can feel the true power of the wind. Monohulls are perfect for honeymoons or anniversaries as they often offer a more affordable price, and a larger master cabin. 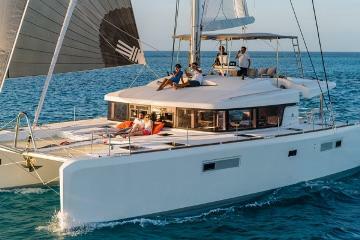 Luxury yachts can be Sailing catamarans, Monohulls or Power yachts for those with a larger budget. Starting at around $30,000 per week Luxury yachts will give you more space, more luxury and all the service, the amenities and the facilities of a five star resort. Your crew will have 1 or 2 extra steward/hostess for ultimate service. 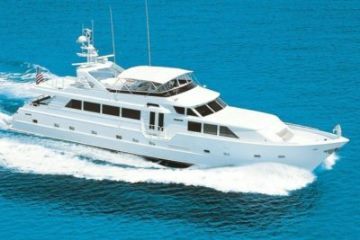 BVI Yacht Charters are the experts in crewed yacht charters throughout the Caribbean. We have visited all the yachts, know all the crew and every anchorage. We have booked many crewed sailing vacations for families, groups and couples with great reviews and happy customers, which means you can book your charter with confidence. Your Itinerary will be customized to your preferences, but to give you an idea of what to expect, enjoy our suggested 7 day itinerary. Check out what you can expect on an All-inclusive crewed charter and what is included. Diving and snorkeling in the Virgin Islands is rated among the best in the world. Find out more. Go to our Frequently asked Question page with nearly 50 of the most common questions that you may have. A handy guide for your next crewed all-inclusive charter with lots of tips and information. 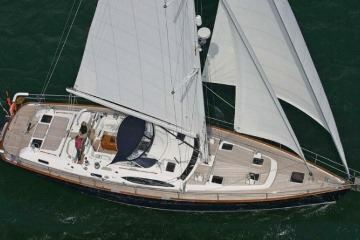 For groups of 12 or more guests we can arrange a tandem charter where 2 (or more) yachts sail together. to saving life at sea.